BEIJING, May 1, 2018 /PRNewswire/ — GAC Motor, China’s fastest-growing automaker, hosted its second International Distributor Conference (the “Conference”) in Beijing. 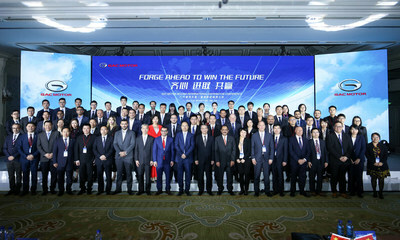 Themed “Forge ahead to win the future,” the Conference was attended by more than 30 distributors from 12 countries. 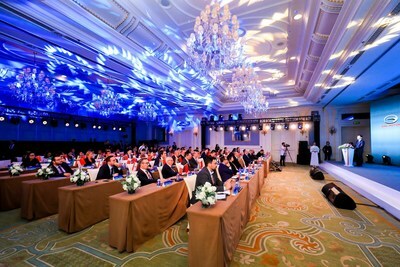 Many dealers present at the event commented that the Conference deepened their knowledge and understanding of GAC Motor’s product quality, manufacturing capability and strategic goals. After the event, the distributors were full of confidence in their cooperation with the company. GAC Motor is making fast and steady progress exploring the global automobile market. It has established mature sales channels and service systems in the Middle East, including Kuwait, Bahrain, Lebanon, Qatar and the UAE, where it has become a leading Chinese automobile brand in sales volume with mid- to high-end products. Thanks to its high-quality products, GAC Motor has gained continuous popularity in Nigeria, Africa. As of now, the company has expanded to 14 countries across five regions including the Middle East, Southeast Asia, Eastern Europe, Africa and the America and has been crowned the “Best Chinese Car Brand” in multiple overseas markets. 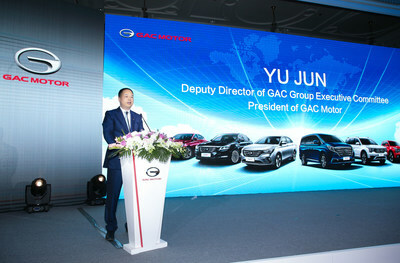 With strong international operations and growing popularity and brand influence, GAC Motor’s expanding presence in emerging markets marks just the beginning of the company’s larger-scale plans for the global market. GAC Motor plans to reach 18 countries by the end of 2018. It strives to explore markets along the “Belt and Road” regions, as well as the U.S. and European markets. “We are steadily creating a long-term future plan and are progressing towards the goal of building a world-class brand with all of our global partners, which will allow us to go forward into the next decade and beyond,” said Yu. In the coming year, GAC Motor will focus on brand building, operation systems perfection and team building, in order to attract more customers to experience the power and performance of GAC Motor as well as to improve overall customer satisfaction. Earlier this year, GAC Motor exhibited at NAIAS for the fourth time and debuted at the NADA Show, receiving wide attention in the global automobile industry. Through the platforms of the world’s top auto shows, GAC Motor has been able to further integrate global resources while promoting the brand internationally. At the recent Auto China 2018, GAC Motor was invited by the senior executives of NAIAS and the Paris Motor Show to join their upcoming events. The company will also participate in the Los Angeles Auto Show and the Moscow International Auto Show later this year.